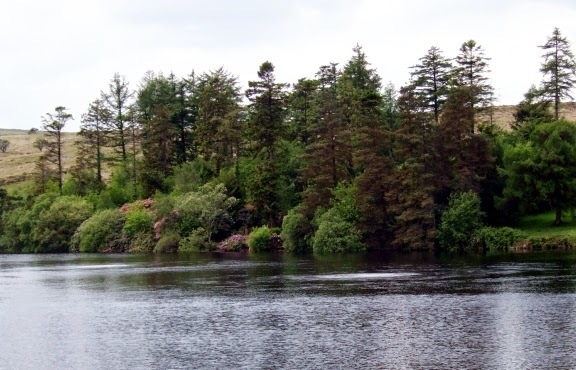 This week my blog is written by Marcia. 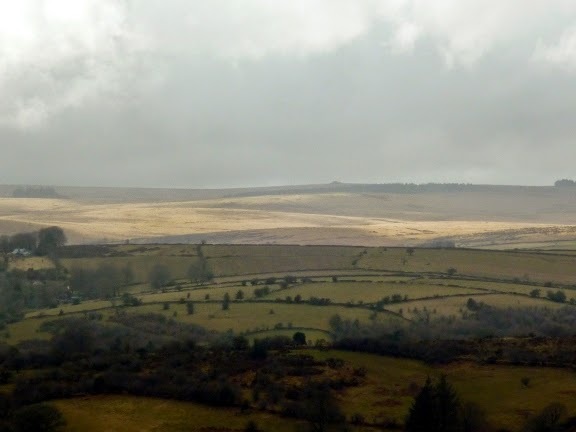 On Wednesday I drove across the moor to meet friends in Tavistock. 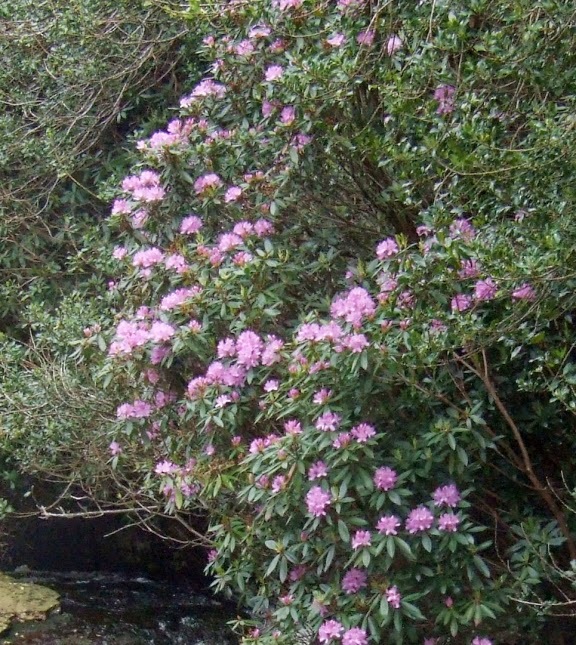 It was a quiet, grey west-country day: drifting mist obscuring the distant tors, ponies grazing with their foals, the rhododendrons at Venford Reservoir a dim, fading pink. 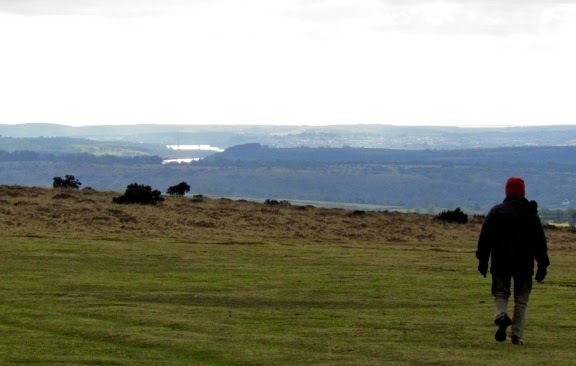 As I reached North Hessary Tor the cloud thinned and a watery sun gleamed through and, by the time I arrived at The Bedford Hotel, the sky was clear and blue and it was promising to be another hot morning. 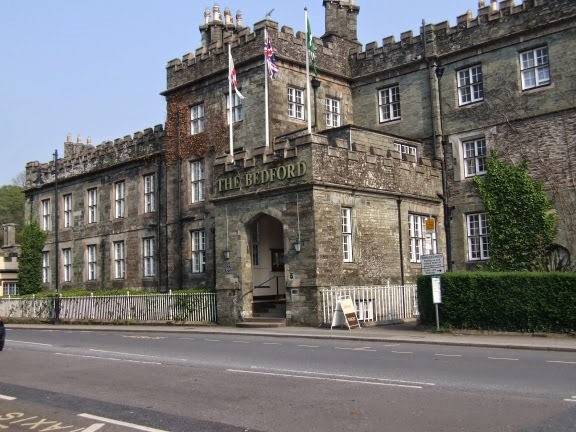 For more than forty years I’ve been meeting friends in the Bedford Hotel. When Charles was at Mount House School I’d take him there for exeats - when it was too far to drive back to whichever naval port we might be stationed at - and always with our golden retriever, Cassie, who was made very welcome at the Bedford. All our dogs have loved going to the Bedford; hurrying up the front steps in the expectation of seeing an old friend, settling under the table in the corner by the window, pricking ears or giving an appreciative thump of the tail when one of the staff appeared with a bowl of cold water. This morning I was meeting Jean for coffee. Some people say that it’s not possible to make close friends when you’re old. It’s not true. I’ve known Jean for six or seven years; she came to help muck us out at The Hermitage but after a very short while she became a very close and special friend. What is that rare dynamic, that odd, instant recognition, that makes someone a ‘kindred spirit’? She’s much younger than I am, our life experiences have been quite different, but it isn’t relevant: we are on that same wavelength that surmounts those barriers. We shared our news, we laughed a lot, we enjoyed the coffee – then we parted and I went to meet Carrye at ‘Café Liaison’ on Church Path. I’ve known Carrye for forty-two years; we were young naval wives together. At Carrye’s wedding (our husbands were on the same submarine but I’d known her for only a few short months) Charles, who was then two and half, disappeared during the reception. When I found him he was sitting amongst a pile of her half-opened wedding presents thinking, no doubt, that Christmas had come again. Carrye was amazingly gracious about it! I am godmother to her daughter. We have a shared past embracing married quarters, Summer Balls, loneliness, silly in-jokes, divorce, bereavement . . . Lunch lasted for over two hours. The journey home was through a very different landscape: a brilliant sky, the high rocks clear and sharp. 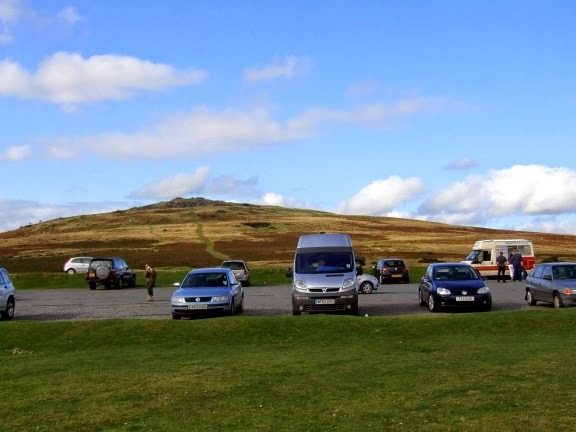 I stopped below Cox Tor, reluctant to leave one of my favourite places and an inspiration for so many of the books, and bought an ice-cream. In the far distance I could see the gleam of the Tamar and, beyond that, the sea. How often I’d walked here with Charles and Cassie all those years ago. I finished my ice-cream and as I glanced again towards the west I though I saw a small boy playing with a golden retriever, chasing a ball and running in the sunshine, but the sun was dazzling in my eyes and, when I looked again, they’d gone. My best to you all and thank you for being such loyal readers. 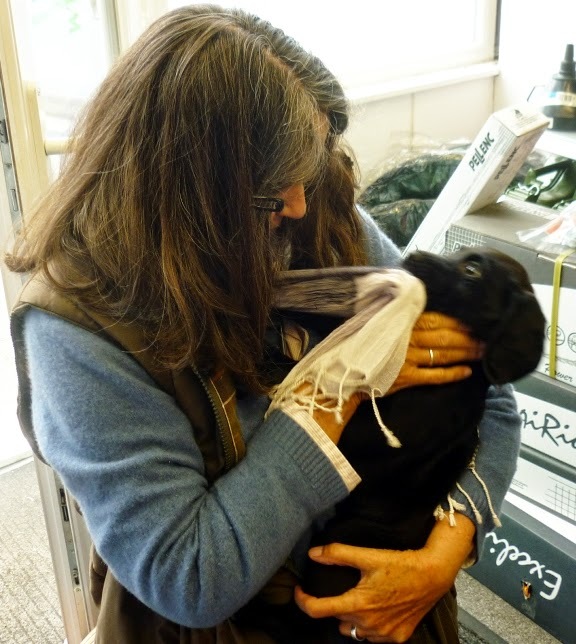 Last week I had to pop into our local garden machinery place and one of the chap's there has with him a young puppy. Neither of us could resist him so here he is chewing Marcia's scarf.